The Physio dispenser for implantoprosthesis is prearranged for a double micromotor, 32 programs to be stored, 16 reductions, digital lit display, micromotor, and cord fully autoclavable, and closed into a bag at 121 °C, the pomp liquid tuning is allowed from 0 to 150 ml. The torque uniform fine-tuning takes place from 10 to 50 Ncm. 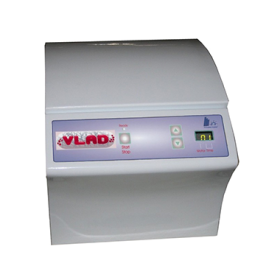 The VLAD blood phase separator, the result of years of experimentation and research, has been designed to enable the operator to be able to easily and safely split the various blood components / phases, thus allowing them to be used for each individual and specific application . 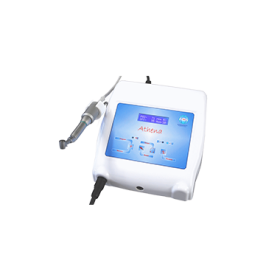 The blood phase separator “VLAD2” was designed to be used in accordance with the therapeutic indications required. For this reason, 3 separate and different rotation programs have been designed for the different fluidity and blood clotting capacity. 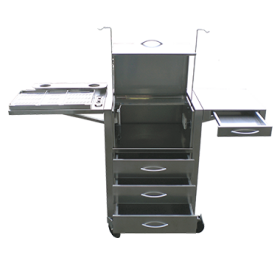 Ease of use combined with high mechanical reliability make this equipment unique in its kind. 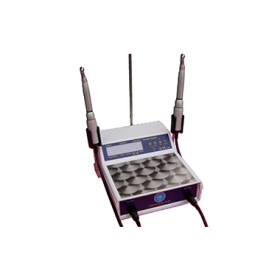 The VLAD device has been designed to accommodate up to 8 test tubes simultaneously, and the test tube holder (thermoplastic) is made of antistatic material. Autoclavability at 135 ° C.
The Neuro Trac 3 method is based on known pain-locking mechanisms, resulting from the selective stimulation of some sensory fibers (gate control) and the increased secretion of endogenous (endorphine) antalgic substances by our body. 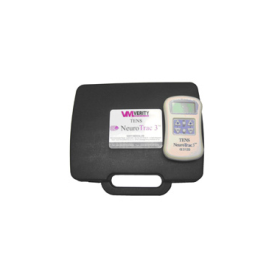 Using two or more electrodes, simply applied over the aching part, it is possible to treat acute pain and chronic pain, more specifically: cervicalgia, lombalgia, sciatica, neuralgia, muscle pain (myalgia), joint pain, paralitis, tendonitis, epicondylitis, pain menstrual, etc.